This selection of vintage magazines has been collected and scanned by The Duffy Archive to show Duffy’s work in period. 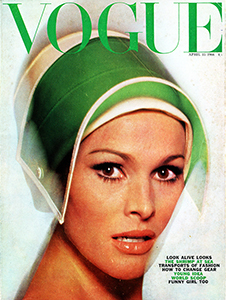 Many of these magazines contain the lost works of his extensive career during which he provided photographic features for over 320 magazines between 1958 and 1979. Due to the use of negatives and having one master copy of the image used for the articles or covers, often the main image used from a session was never returned by the client. With the majority of the magazines shown now liquidated or merged into other publications many of the negatives have been lost along the way. Many of the newspaper supplements were available for only one day making them incredibly rare and hard to find. This collection is always growing through research and contributions and we are always searching for more information on Duffy’s lost works. It is our intention to share these magazines respective of the additional authors that may be involved. Content has been removed to only show the articles containing Duffy’s works although advertisements, brands, and additional imagery belongs to their respective copyright holders. Both of the covers below were shot by Duffy. This section contains a collection of some of Duffy’s work that has been scanned from the archive and recreated to show the typography and context behind the sessions. 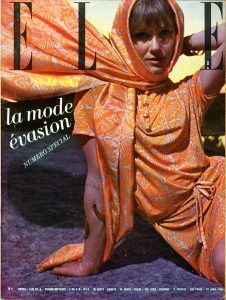 This collection shows a timeline in order from Duffy’s first cover with British Vogue in 1960 to his later works with The Telegraph and Elle in the late 1970s.